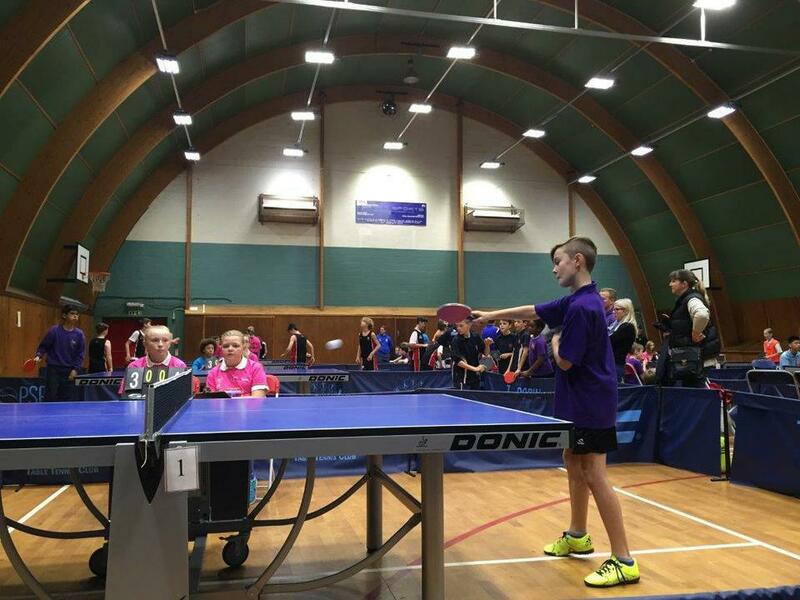 Ben P has only been playing table tennis for a year now – but what a year he has had! 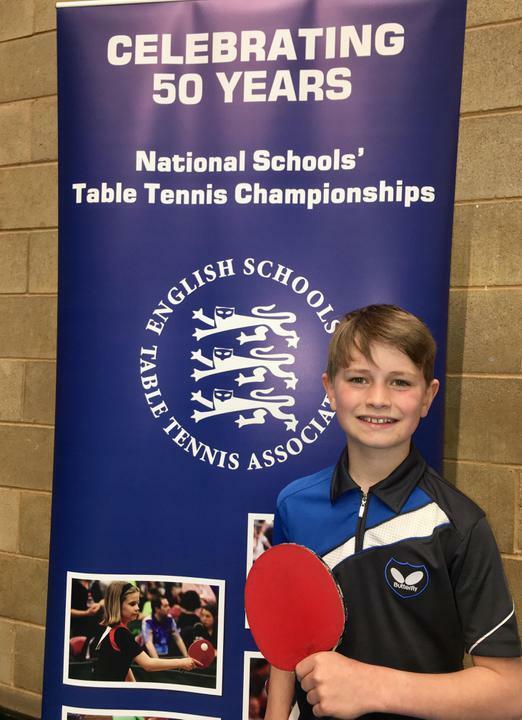 Although a tennis player by trade, Ben was ping pong talent spotted by Mr Hall and he has since led St John’s School Team to 2 District titles and 2 bronze medal finishing in the County Championships. 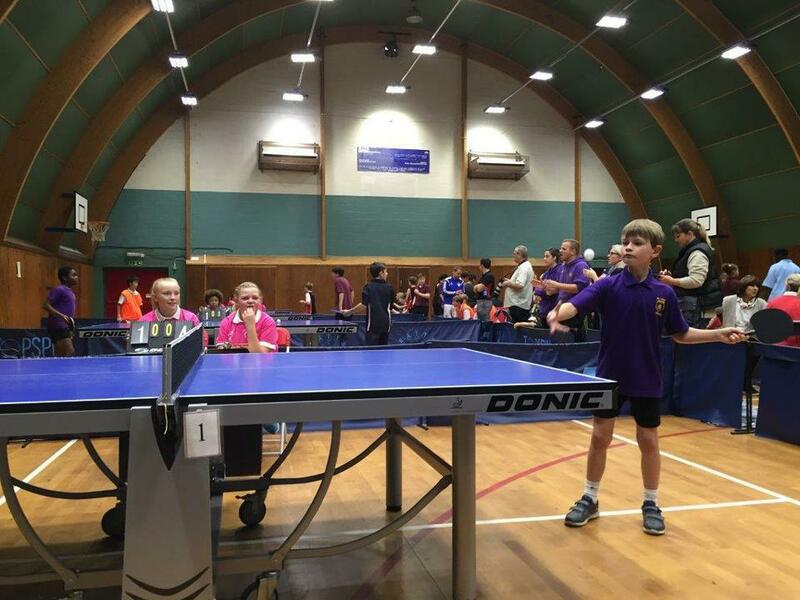 In the Singles Championships Ben finished 4th in the County when age 9, and this year was crowned County champion in the U11 category. As County Champion Ben was invited to play in the National Finals last weekend, 29th April 2017, in Wolverhampton. 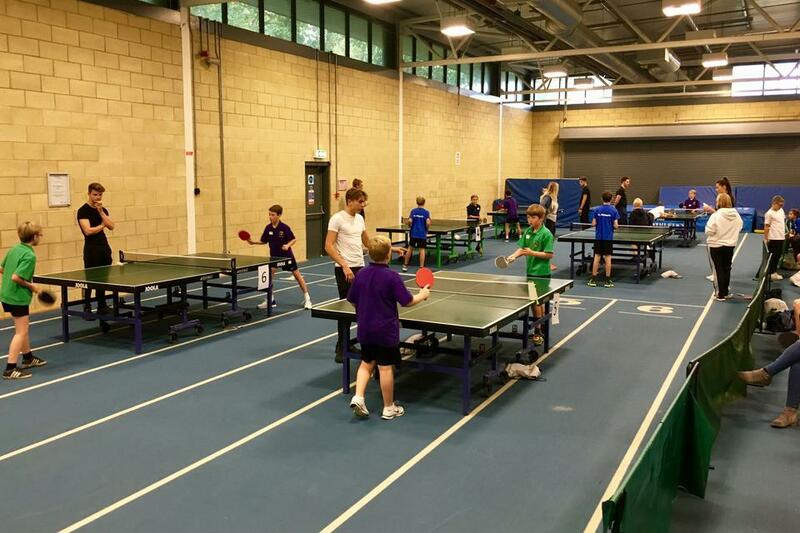 This was a prestigious event showcasing British talent and doubling as a selection event for National Junior Squads. Ben was up against tough opposition right from the start where he faced the UK no.2 seed in his opening match – a tough draw indeed! Ben played well throughout the day, including a fine 3-0 victory over the Northamptonshire Champion, and whilst he didn’t progress to the quarter-final knockout stage he will take great experience from the event. Ben, along with Ewan H, will also represent Essex in the Regional Finals in June where he will be looking to add to his impressive medal tally. There is a bright future for this young sporting prospect. 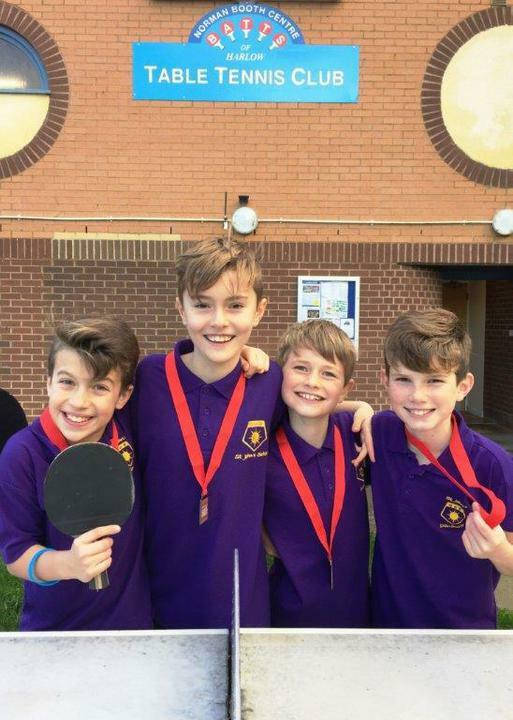 Lucas A, Will R, Ewan H, and Ben P took part in the Annual Essex Schools Table Tennis Individual Finals, and with great success. In a strong field where all the boys had tough games and played well Ben and Ewan came through the Group stages to feature in the Top 6 round robin tournament. 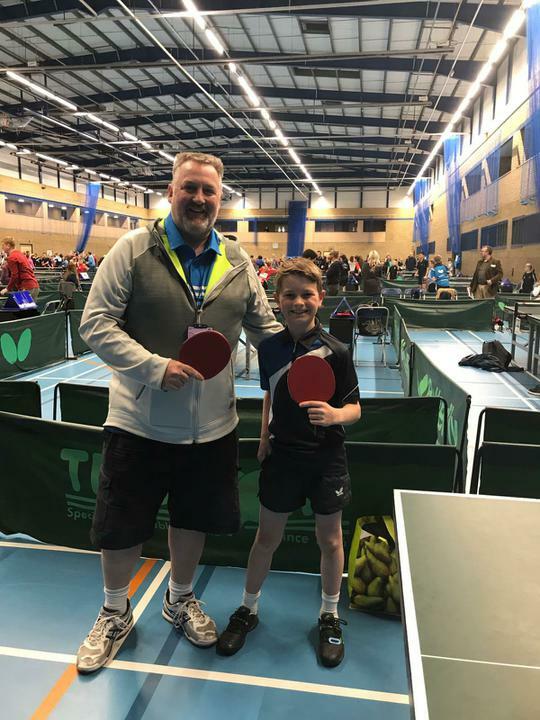 Ewan played the best table tennis of his life and had only lost a single game all day when he came up against Ben – and what a match it was, the best of the day by far! Ewan started off really fast and soon had Ben in trouble taking the first leg, but Ben fought back to square it a 1-1 and so to a deciding game. It was ‘nip and tuck’ all the way with some fantastic expansive table tennis that would have graced any of the age groups that day. At 9-9 it was hard to call. Ewan went 10-9 up and had match point, but Ben kept his cool to draw level, and then took the next 2 points to take the match and preserve his unbeaten status. In the end Ben was crowned County Champion and was unbeaten all day. Ewan was deservedly joint second but took the bronze medal on the countback rules. 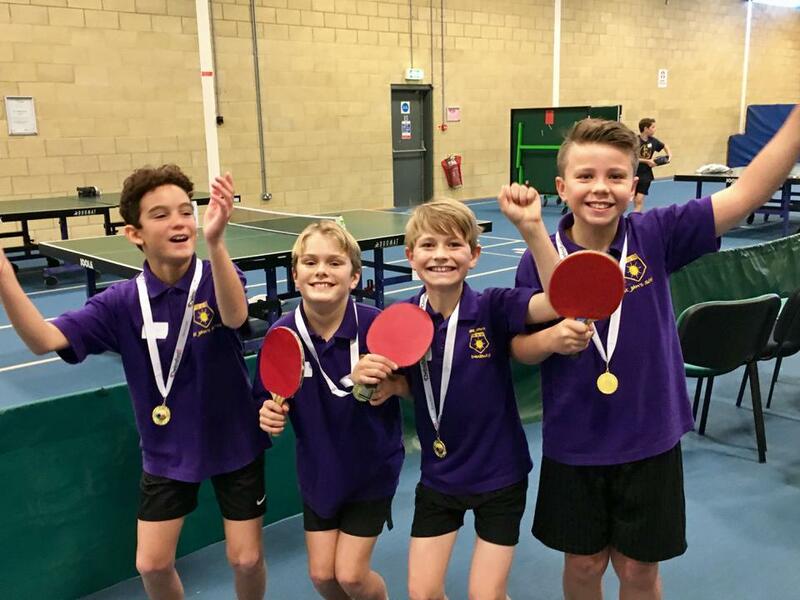 So Ben and Ewan progress to the Regional Finals, and Ben has been invited to play in the National U11 Finals where he will compete against the top players in the country. What a day for the boys and for St John’s. In the U13 category The Sandon School was represented by 4 previous students of St John’s (Finley W, Stephen M, Conor H, and Alex P), and they did exceptionally well as all 4 of them progressed to the Top 6 final round robin – although they came up against regional level players so didn’t take the title but took a bronze and 4th spot and will also progress to Regionals with Ben and Ewan. 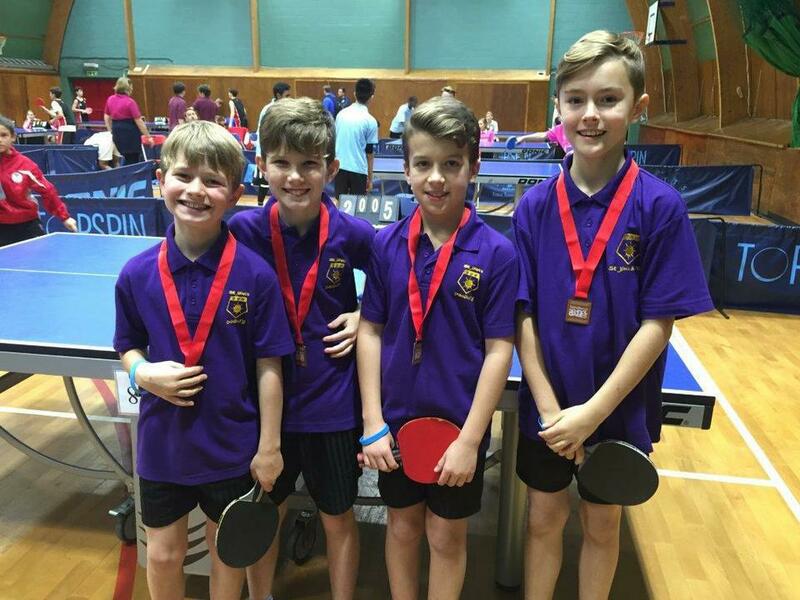 On Friday 11th November, Ben P, Ewan H, William R and Lucas A played in the Essex County Table Tennis Finals. They each played 3 matches in their group and finished runners up in the pool. This meant they played in the bronze medal match and won! 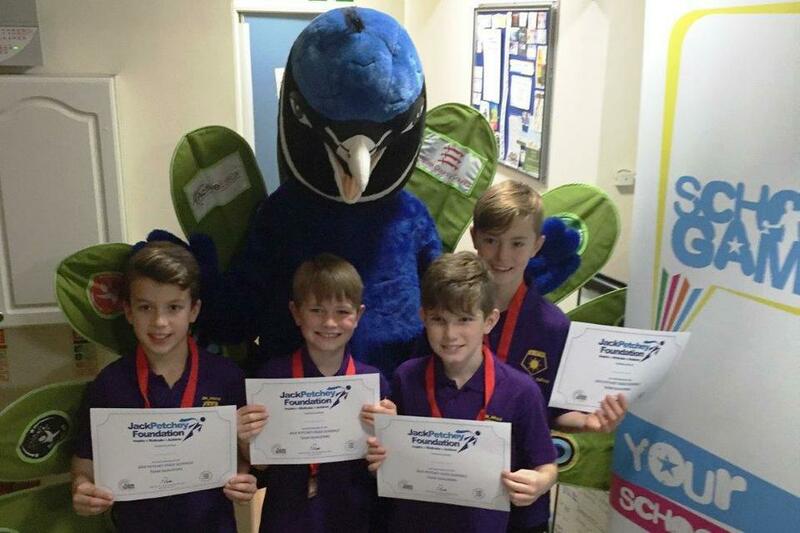 A huge well done to all 4 boys for their terrific achievements. They showed terrific skills throughout some tough matches, superb behaviour and a lovely competitive spirit. Thank you to Mr Hall for coaching and taking the boys! 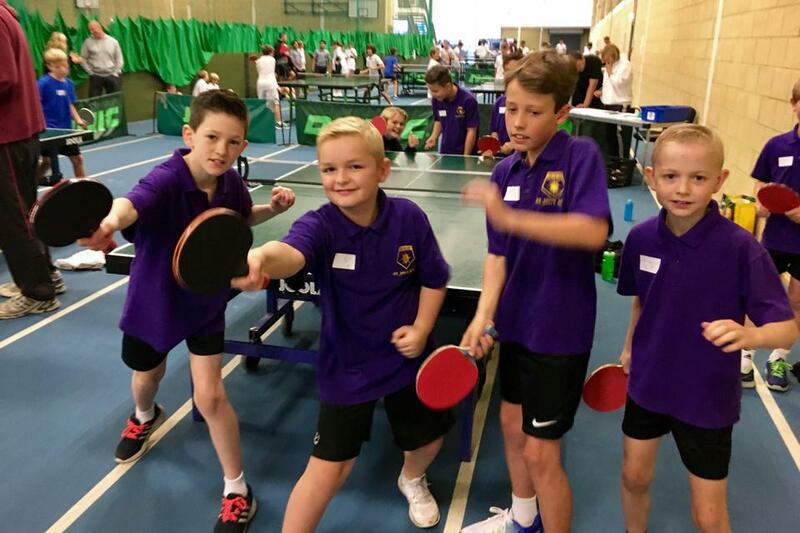 St Johns' entered 2 boys teams into the Chelmsford Partnership Table Tennis Competition. 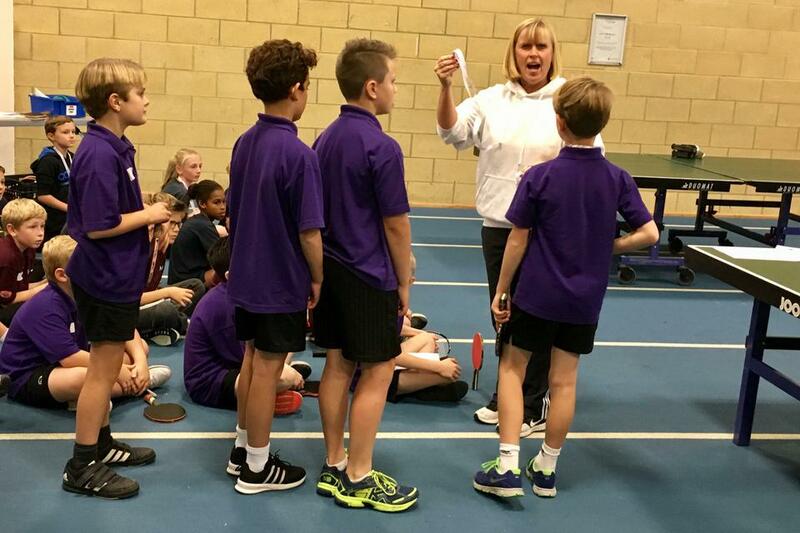 The boys showed wonderful skills, terrific behaviour and superb sportsmanship throughout the competition. 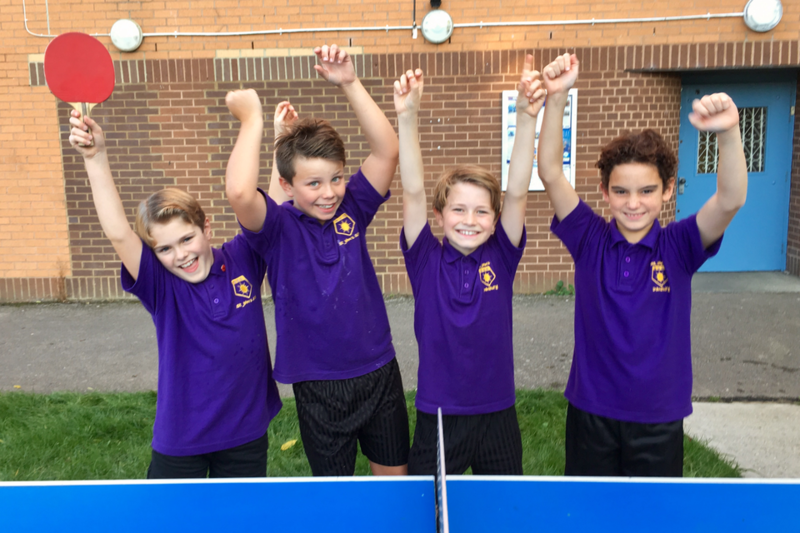 Well done to the B team who finished second in their pool: Harry S, Asher B, William S and Jasper C-S.
Well done to the A team who finished first place in their pool and went on to the win final: Ben P, Ewan H, William R and Lucas A. They now go onto represent Chelmsford in the Essex Finals. Thank you to Mr Hall for training and coaching the teams and all the parents who transported and supported the children. 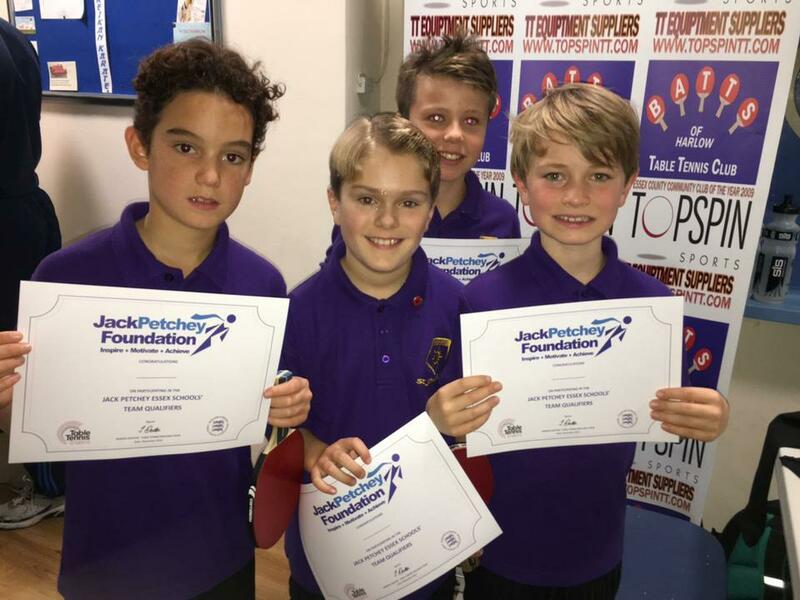 Table Tennis News - After qualifying for the London & Essex Jack Petchey Schools Table Tennis Finals earlier in the year, Ben P participated in this competition on Saturday at Brunel University. The standard of game was phenomenal and the group stages in the morning were tough. Ben didn't win these games although they were hard fought. This led to the players who had been knocked out in the morning being put forward for a runners up Plate in the afternoon. In the Plate competition Ben was drawn against the Essex number 1 seed. Against the odds Ben managed to beat his opponent in a thrilling & tense match 3-1. This put him through to the plate final against another tough opponent who ended up winning the match. So runner up in The Plate competition - a great achievement!!! Another highlight at the end of the day was the opportunity to play against the Team GB & hopefully Olympic 2016 players, Tin Tin Ho and Darius Knight, an amazing experience to be enjoyed by all the players. 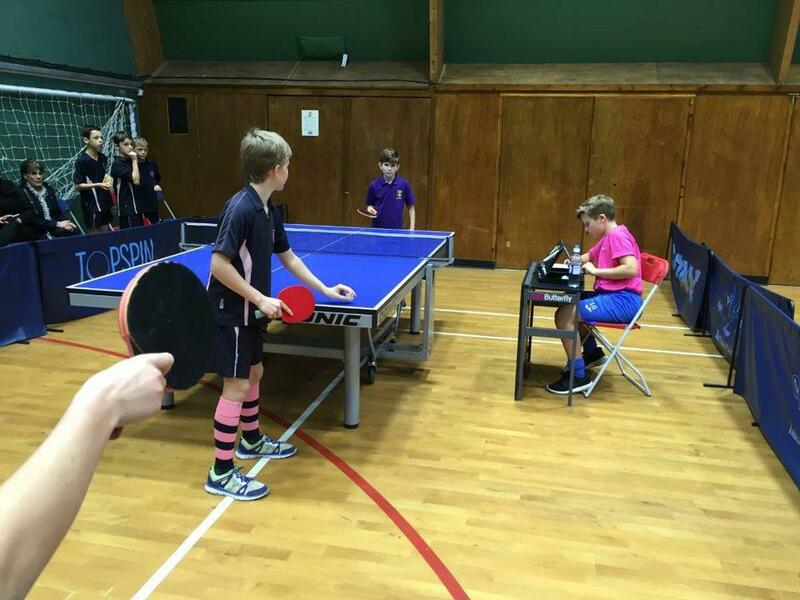 Essex Schools Table Tennis 2015/16 – Singles Tournament. 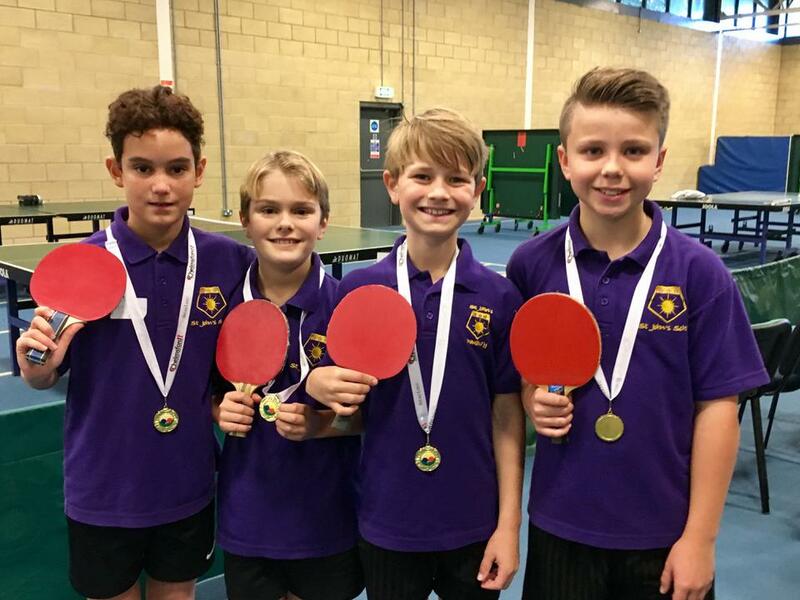 St John’s had 2 boys representing the Chelmsford District in the annual Essex Schools Table Tennis Singles tournament held at Batts Table Tennis Club in Harlow last week. 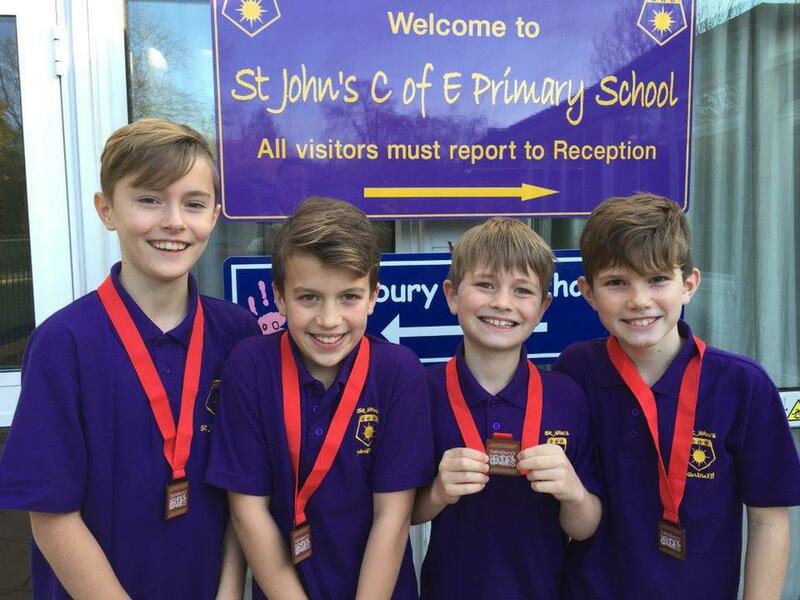 Both Finley W (yr 6) and Ben P (yr 5) were members of the St John’s team that recently won the Chelmsford Team event and came third in the County Team Finals. 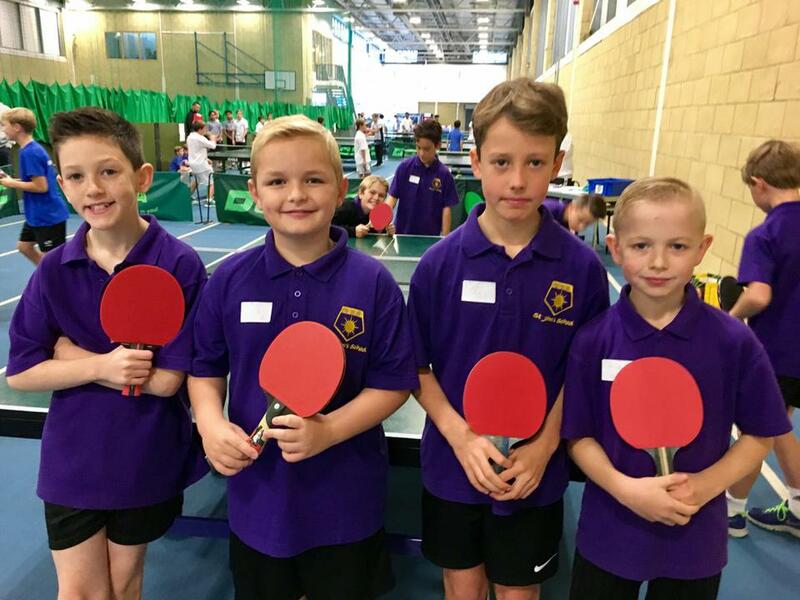 Neither boy has played Club table tennis so both were nervous as they entered the arena against the best Junior School players in the County. 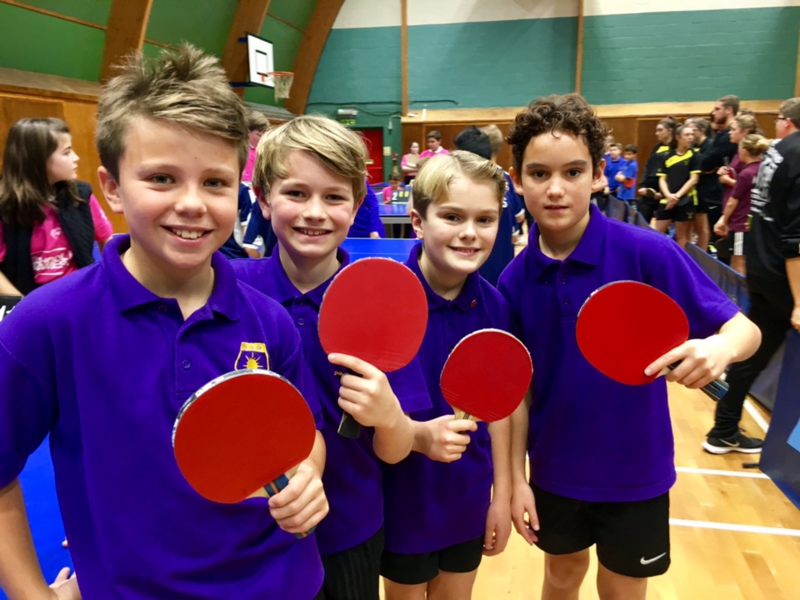 Finley was pooled in a tough Group but played good table tennis from the outset, hitting some wonderful winners along the way – his aggressive style came as a shock to several of his opponents. Finley won 3 of his 5 Group matches, all 2-0. 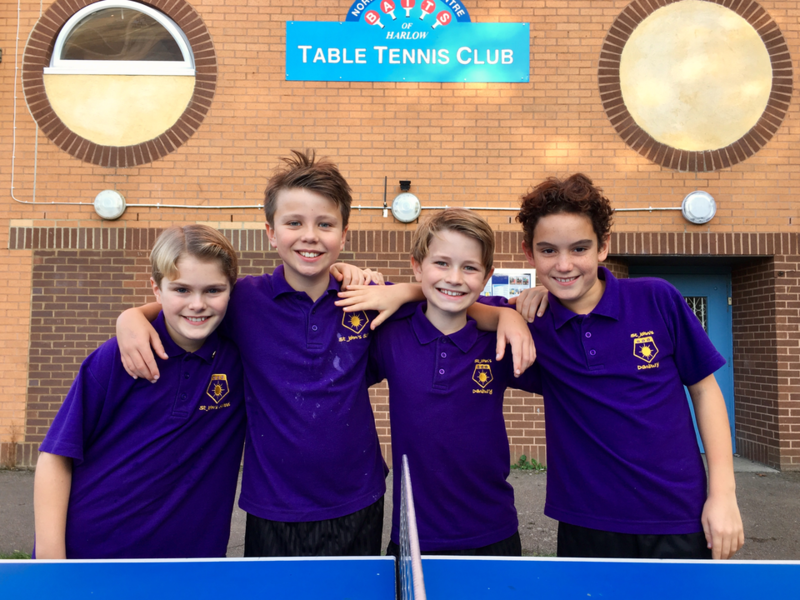 In the other 2 matches Finley came up against the eventual winner and runner-up and although he lost both matches his scores and all round play were very commendable against highly ranked Club players. So Finley came 3rd in his Group – a very good performance. Ben was in a slightly larger Group and had to play 6 Group matches. The opening tie was against the highest ranked player, it was a nervous start and Ben lost the opening game 7-11. But from within himself Ben rallied and started to grow in confidence as he took more of a positive stance and the match swung his way taking the next 2 games 11-8 and 11-5 to cause a shock in the opening tie of the tournament. Ben then went on to win 5 out of his 6 matches to finish runner-up in his Group and proceed to the elite top 4. Ben played exceptionally well against the top players and even had a 9-6 lead in the 3rd and deciding game against the eventual tournament runner-up Reece Munroe of Southend District. So an eventual 4th place for our Ben – but this has earned him the right to represent Essex in the forthcoming London Region Finals. The Tournament Winner – Callum Boyce from Harlow District goes on to the National Schools Finals. 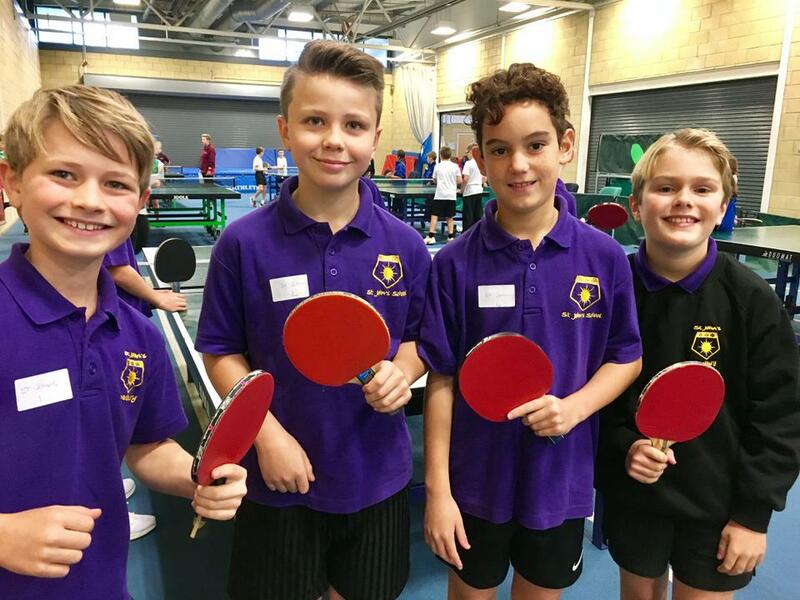 Ben P, Finley W, Josh D and Brandon D took part in the Chelmsford school partnership table tennis competition this week. 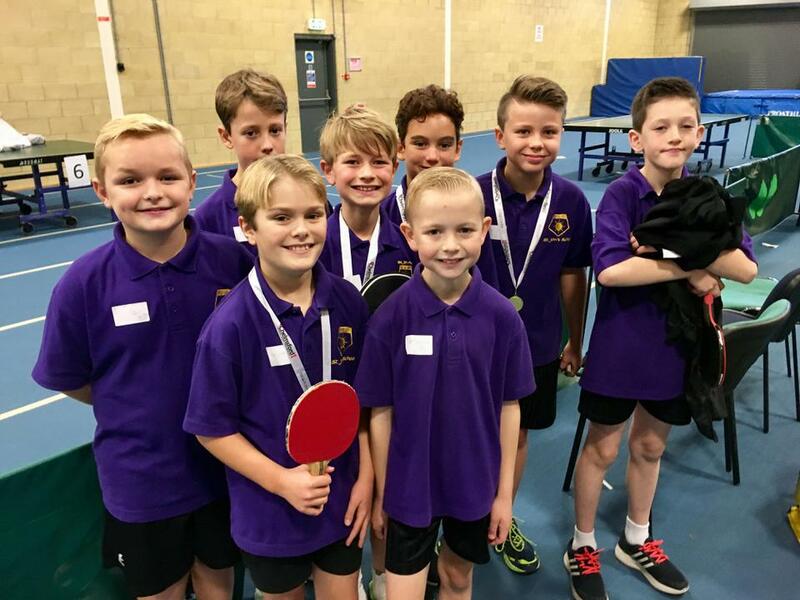 They each played 3 matches against children from other schools and won 11 out of the 12 matches they played, making them the winners of the competition. This now means they go onto represent Chelmsford in the district competition. A huge well done to the boys who showed terrific skills and as always good sportsmanship qualities towards their opponents. Thank you also to Mr Hall for training the boys.